A couple of years ago, someone hosted the “First Annual Southeast Zine Fest” in Charleston. I missed it and have been disappointed that a repeat event was not scheduled. In case you’re wondering, a zine is a handmade magazine or comic, usually in black and white and cheaply reproduced. The content can be anything the author wants to express verbally and/or visually. 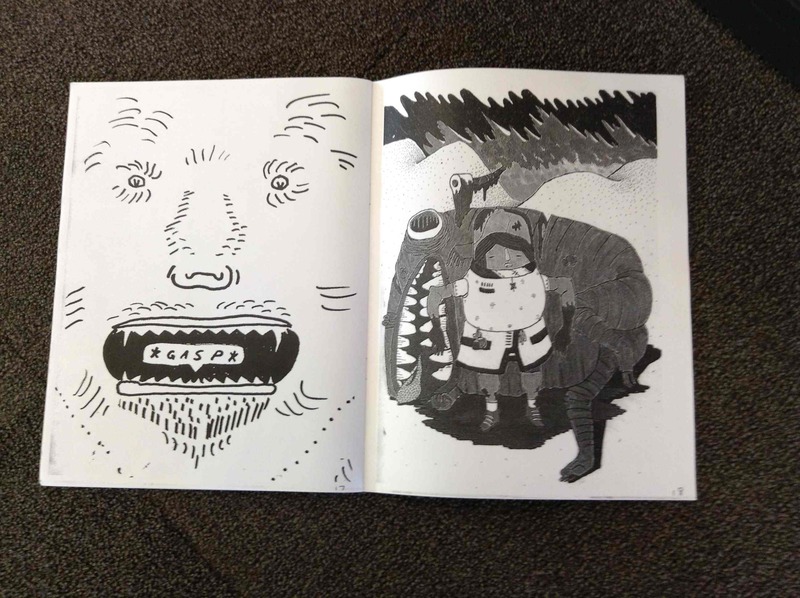 As you might expect, quality varies: some zines are throwaways; some are absolutely amazing. Many are funny or satirical. Often they address contemporary concerns, politics, feminism, and social change. 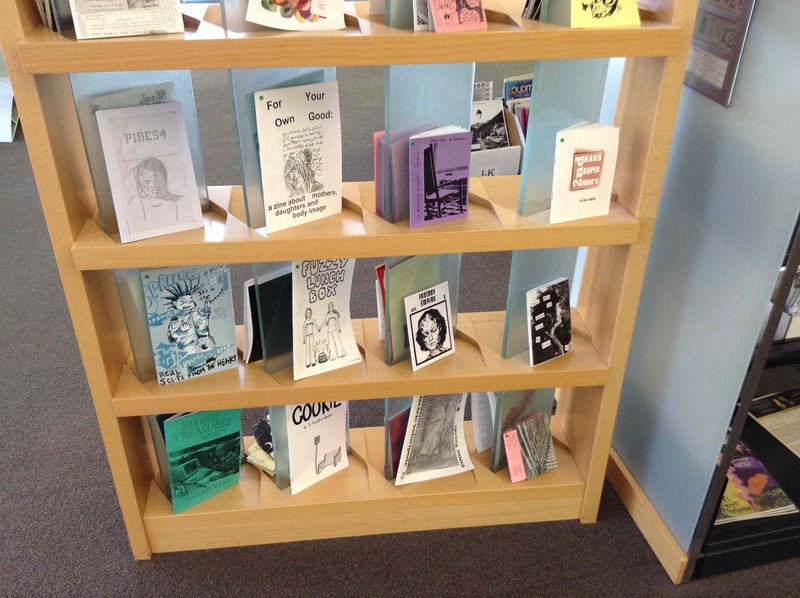 On a recent trip to Salt Lake City, Utah, I visited the public library to see one of the better-known zine collections in the United States. 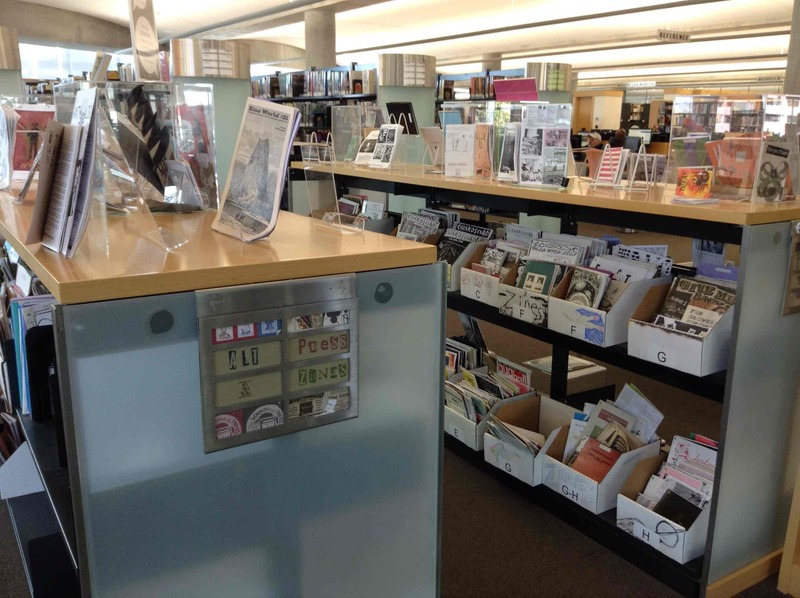 The Alternate Press Zine collection of Salt Lake City is housed on the second floor of the public library (pictures below). 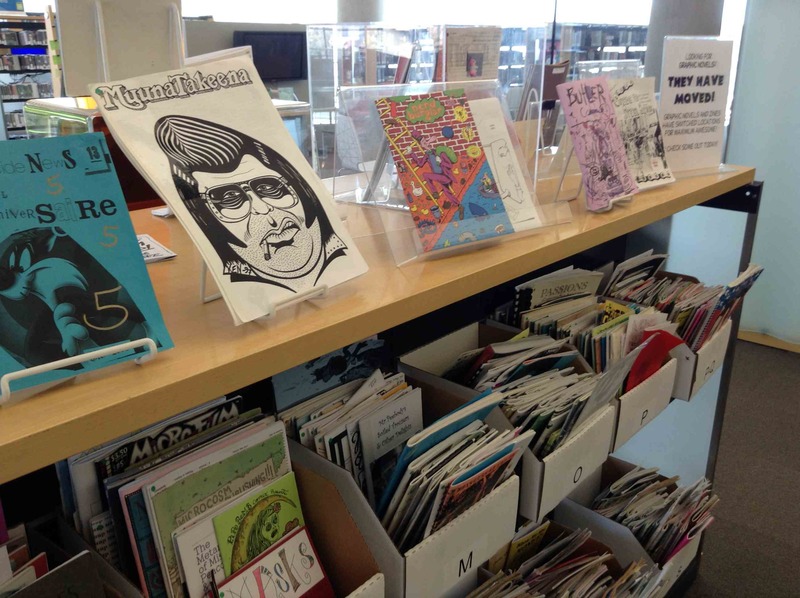 Zines are listed as periodicals, fiction, graphic novels, or young adult lit, and they rotate among the 5 branch libraries. Anything on the shelves can be checked out. Salt Lake City is also known for its low-tech alternative press movement. 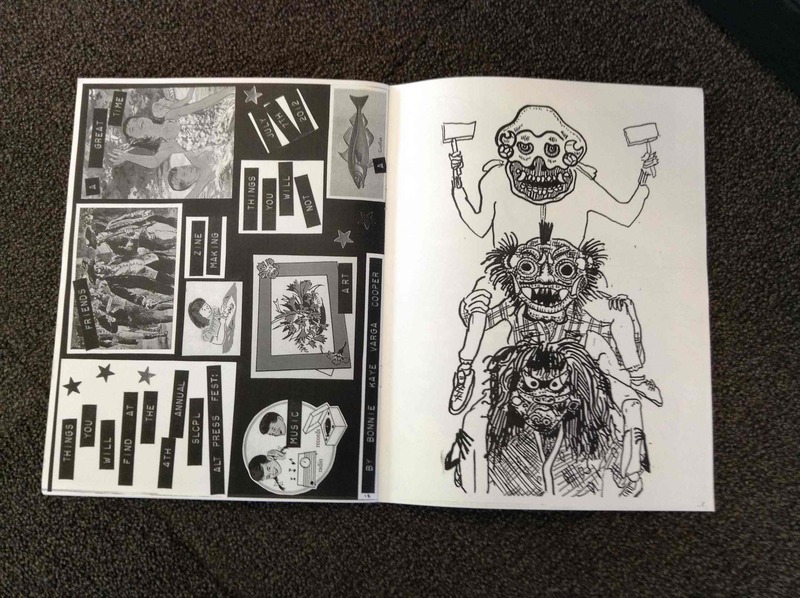 In 2012, the library hosted the 4th Annual Salt Lake Alternative Press Festival for “zine makers, comic artists, bands, book arts, printmakers and abundantly diverse content.” Below are a few images from the 2012 festival catalog. There are woefully few zine events in the American Southeast. 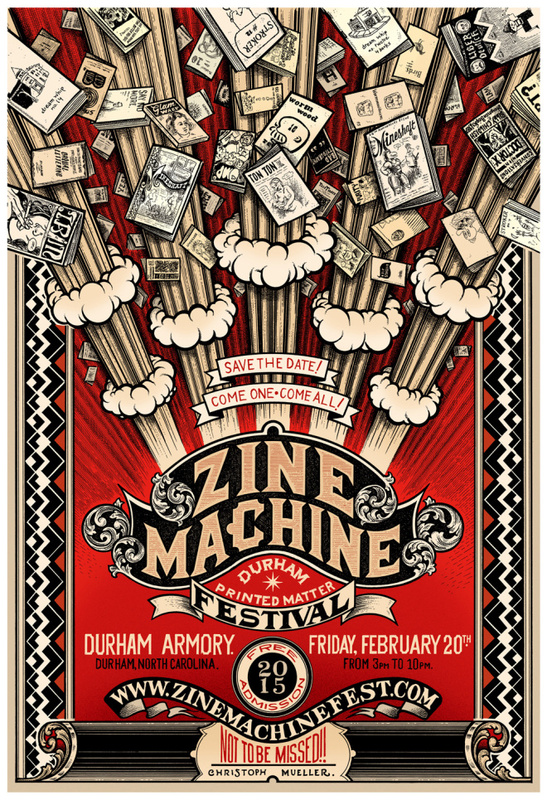 One exception is the Zine Machine Fest in Durham NC hosted February 20, 2015 by the Sallie Bingham Center for Women’s history and Culture at Duke University. 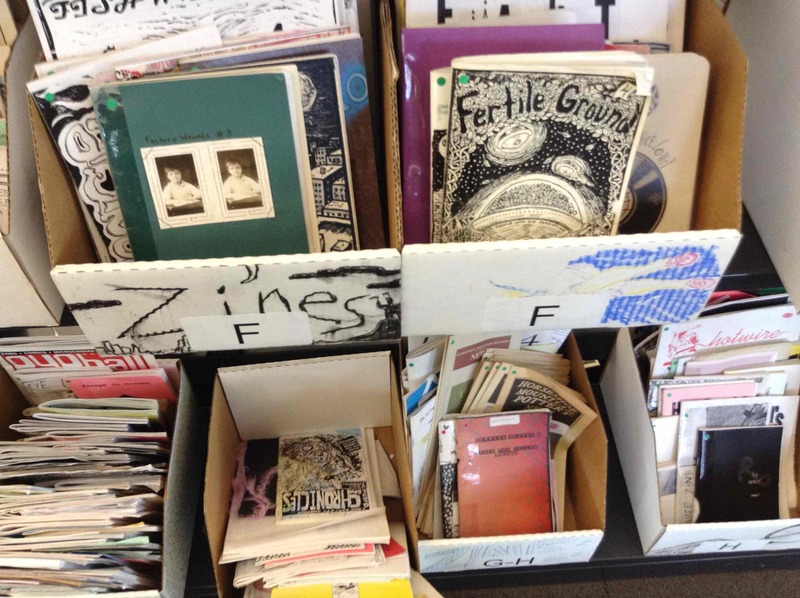 The Bingham Center is home to an outstanding collection of over 4000 zines. One of my goals for 2015, is to take steps toward reviving the Southeast Zine Festival. I can envision street-front tables selling zines in downtown North Charleston. I can see myself hanging out in front of Evo Bakery, selling little books and showing people how to make their own. It would be fun; moreover, I think it’s important. The more we depend on digital platforms for reading, the more outdated or (alternately) exotic and inaccessible, books can seem in comparison. Contemporary artists turn “altered books” into conceptual art installations or sculptures, often not meant to be read as texts and meant to be exhibited in museums. Don’t misunderstand me–I love these exhibits–but some give me pause. 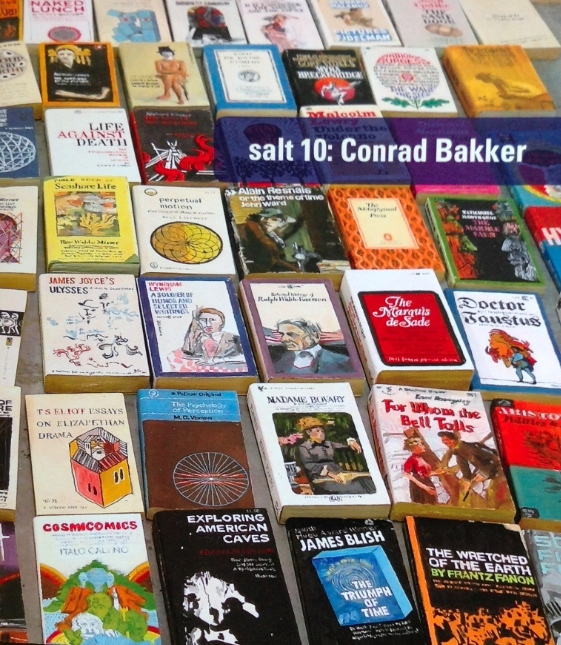 While I was in Salt Lake, I went to the 2014 Annual “Salt” exhibit at the University of Utah and found there a collection of trompe l’oeil books, miniature versions of Robert Smithson’s book collection painstakingly painted on wooden blocks by Conrad Baker. The paintings are beautifully done, but substituting expensive painted blocks of wood for cheap paperbacks of classics like The Wretched of the Earth strikes me as ironic and precisely why the DIY zine movement is important to keep alive. This entry was posted in Current work and tagged artist's book, book making, exhibits, zines. Bookmark the permalink.